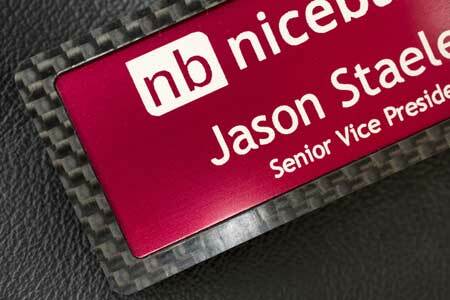 Our Carbon Fiber Name Badges are made from the same materials that you would find on high performance vehicles, planes and spacecraft. 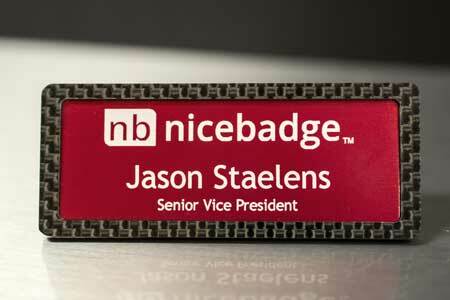 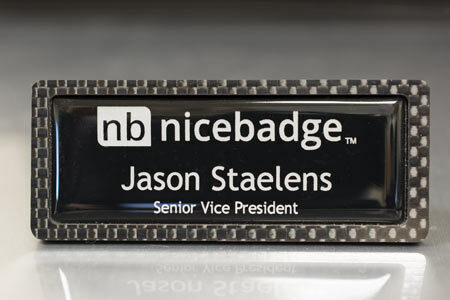 We designed these luxury name badges to be light, durable, and modern looking, truly the nicest badges in the industry. 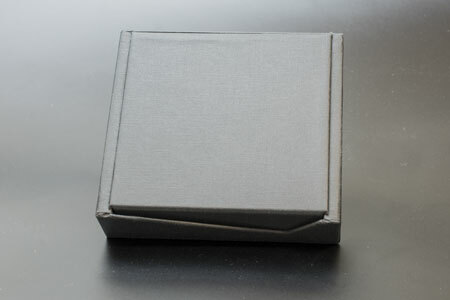 The frame is CNC machined out of genuine carbon fiber with a fiberglass core, or aircraft-grade billet aluminum like our prestige frames. 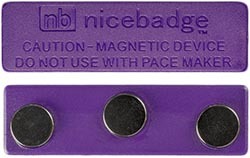 The badge inserts are available in carbon fiber or a variety of colors and an optional polyurethane protective resin dome (NiceGuard) can be added at no additional cost. 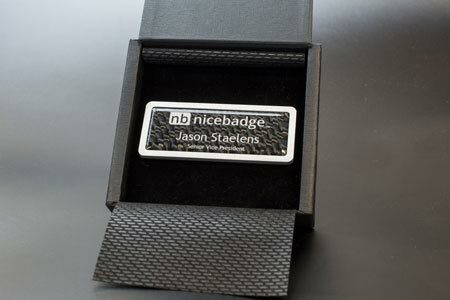 Each carbon fiber badge includes a deluxe reusable storage box. 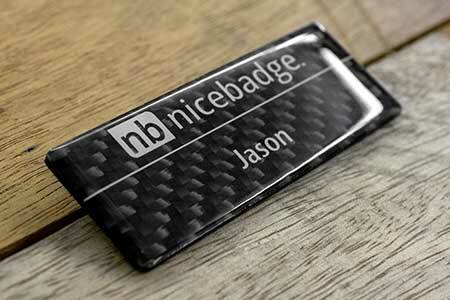 Carbon Fiber Badge $25.00 ea. 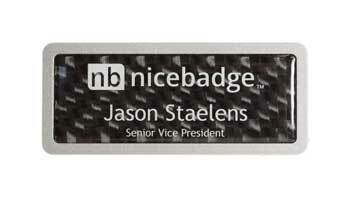 Carbon Fiber Insert Badge $50.00 ea. 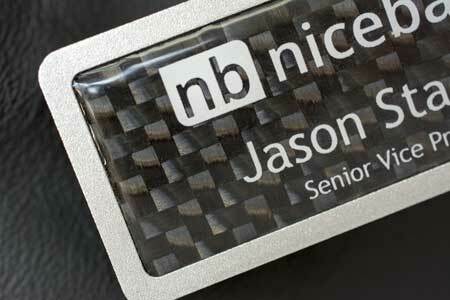 Carbon Fiber Frame Badge $50.00 ea. 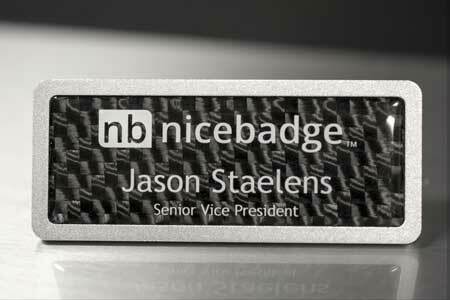 Anodized Frame Carbon Fiber Insert Badge $55.00 ea.